Security should be one of the top things to check on your Router Firewall. Consider that the U.S., Britain, and Australian government have recently accused the Russian government of maliciously targeting global internet equipment (home routers) for political and economic espionage. Firmware/software updates to your equipment can help to secure your network. Back in the day you could get by with your router simply by restarting it once in a while, now it is more like a computer where updates have become very important. The warnings coming from government sources emphasize how important it is to keep your Router Firewall up to date to improve security. Chances are your Router Firewall needs to be checked up on. 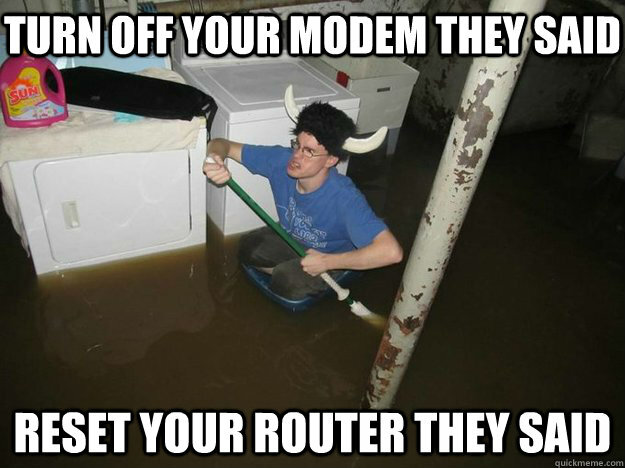 When was the last time you logged into your router to see what is going on? Did you know some simple maintenance on your router could improve your Internet performance? We have been servicing home routers since they were invented, and we often find that these devices are the most neglected even though it is the single most important thing linking you to the Internet. Consider a good Router Firewall an important investment in your network. Also, consider updating it and checking in on it just like your computer at least once a month. The benefits could be better security and performance. *Note: The suggestions I make above may require a qualified technician. If you have a question about your router or firewall model just ask us. Russian state-sponsored cyber actors have conducted both broad-scale and targeted scanning of Internet address spaces. Such scanning allows these actors to identify enabled Internet-facing ports and services, conduct device fingerprinting, and discover vulnerable network infrastructure devices.